As I spend 80% of my week in work clothes I thought it was about time that I started a work wear series of outfits, that will undoubtedly come in handy for me on those days that I’m too tired to pick out an outfit, and for those who like myself work full time, are going for interviews or just need some nice formal outfit inspiration! Above all, I want to show you all that work wear does not have to mean black clothing all round, and it definitely doesn’t have to be boring! Whether I’m wearing pom pom flats, or polka dot trousers, it’s the little things that help to brighten up my day in the office! My office dress code is smart casual, but I am required to be well dressed when we meet our clients, so my outfits usually are smart – I always feel more ready for work when I am dressed well anyway! 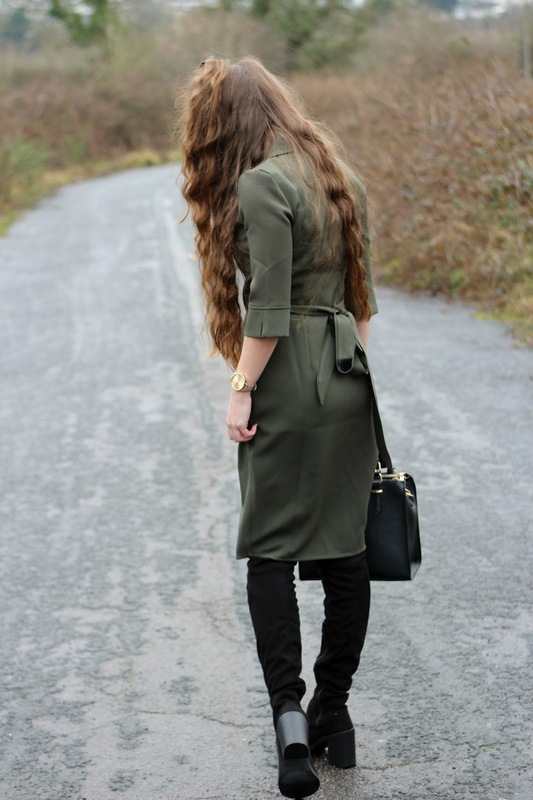 I think we can all safely say that we have to rotate our outfits around each week, and of course I prefer dressing on the weekends in casual clothes, but I have definitely got more experimental with work clothes recently and I’m starting off the first post in the series with this amazing khaki wrap dress from Vesper Dresses. 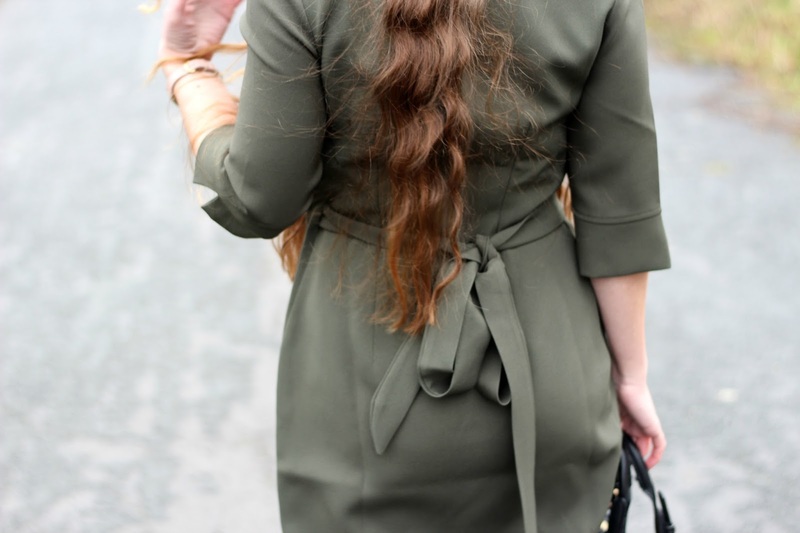 I have had a few dresses from Vesper before and the quality of their dresses is second to none, you can always rely on them for finding a functional yet stylish dress, I actually wore one of their dresses to my Graduation and still wear it to work now! I’ve styled this wrap dress with a white vest top as I would feel a bit exposed in this at work without one, but this can fully be worn for a weekend outfit too as it’s so stylish! I love the wrap tie as it really draws in my figure, whilst being really flattering. It looks perfect with my knee high boots and matching bag. 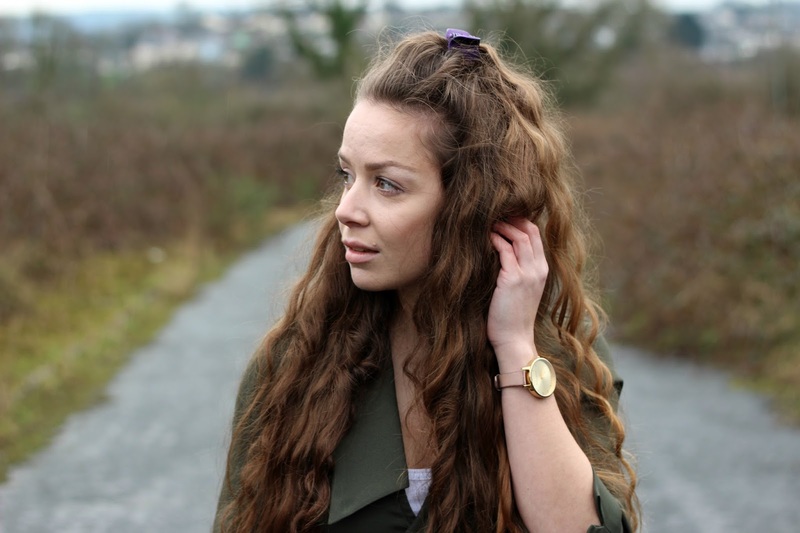 Khaki really has been one of my favourite colours this Autumn/Winter – it’s such a versatile colour that also isn’t black! It’s thumbs up all round for this dress! I hope you all have a fab weekend! Do you think a work wear series is a good idea? What do you think of this dress? 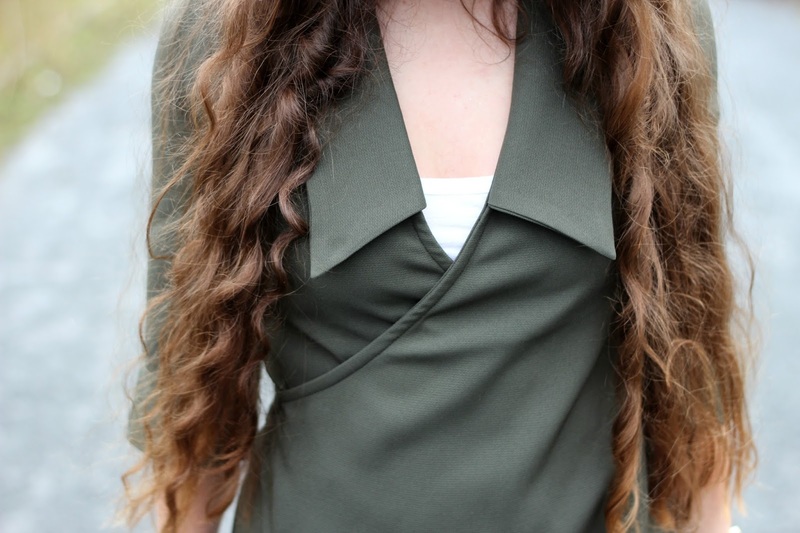 Have you heard of Vesper Dresses before?